Home / Blog / VSpicery’s Knife Skills Day! Look Sharp! Mark Your Calendars for a Special Sunday Event at VSpicery, April 15th from 12:00p – 3:00p. 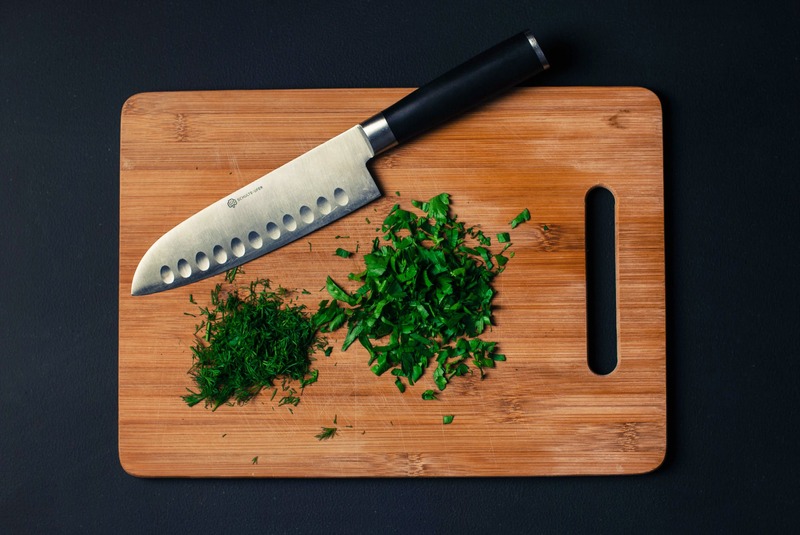 This event is all about knives, the benefits of keeping them sharp and a class on how to use them, along with a few recipes and samples of the tasty treats being prepared. To kick things off, Mark Bertsche of M&M Sharpening will be setting up his shop at our shop! Mark is an expert in sharpening kitchen knives and garden tools. You can watch Mark work his magic on your tools or drop them off and schedule your pickup date. Starting at 1:00pm, Chef Tina Hurless will demonstrate proper knife usage and help you hone your skills with your freshly sharpened knife. Come learn how to dice, mince, chop, and julienne like a pro while creating some delicious delights. 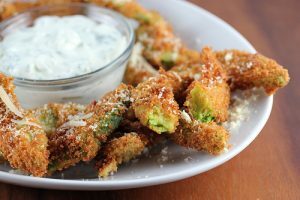 Chef Tina will show you how to make baked vegetable fries – avocado, zucchini and chick pea sticks with creamy ancho salsa in the first session of the day. At 2:00pm Chef Tina starts the second session where you will learn how to chop and dice your way to a perfect comfort food bowl using vegetables, grains and seasoned meat (or meat alternatives). Each session is $10.00 and we will be serving the yummy samples. Knife sharpening is priced separately. Registration is required. Please call 813-870-1133 to reserve by April 12th. I’m the homeless looking guy that came in and bought some smoked salt, smoked pepper, smoked paprika, and ancho chile powder. Put the ingredients to use tonight as part of a special rub I make on some oven cooked spare ribs. Honestly, it was the best batch of oven cooked ribs I’ve made in my 66 years of stalking the planet Earth, and your spices helped make it that way. Nice talking to you. The picture of your grandmother is one of the finest pieces of black and white photography from that period I have ever seen. It has a sophistication of shadow and hue that I rarely see in that era. The pose and smile (Mona Lisaesque) is wonderful. There is so much captured in it that it is visual poetry. Youth, beauty, and innocence lounging before entering the realities of the world… and so much more. It is a magnificent work of art. It should be seen in a gallery for all, but that would betray the purpose, wouldn’t it?